or launch from a right click. The instruction are inside the archive. to see the right click menu. Last edited by don570 on 20 Jul 2013, 20:34, edited 2 times in total. check for a similar named file or folder!! 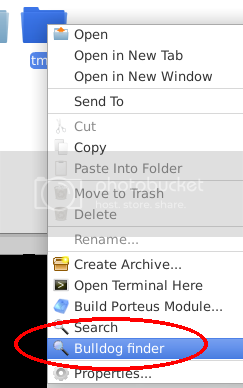 Delete will work on file or folder. You will get a warning message. 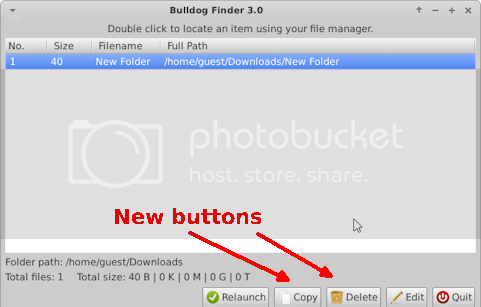 Can you state the pros and cons of using bulldog instead of the standard xfce finder? you should tell me. It only works for Thunar.